There are two very serious and pervasive problems occurring in the Sepulveda Basin Woodley Park and Wildlife Areas with illegal ‘drone’ (Unmanned Aircraft System) activity, and kite ‘fighting’, using abrasive kite line (cord). The kite line is extremely dangerous to persons, wildlife and property, not only when the fighting kites are aloft, but when enthusiasts leave behind lost strings they can’t or won’t retrieve. We have already collected huge amounts of kite line from trees in the area. Fighting- kite line is very dangerous to humans. Kite fighting (attempting to sever an opponent’s kite line using your own), is now considered a high risk activity worldwide. Penetrating neck injuries from the string are described in medical journals. The city of Toronto, Canada has banned kite fighting due to severe neck injuries (sometimes lethal) incurred by motorcyclists. It has also been banned in regions of Pakistan for the same reason. There are also many reports of deaths of motorcyclists encountering the high-test, abrasive string. 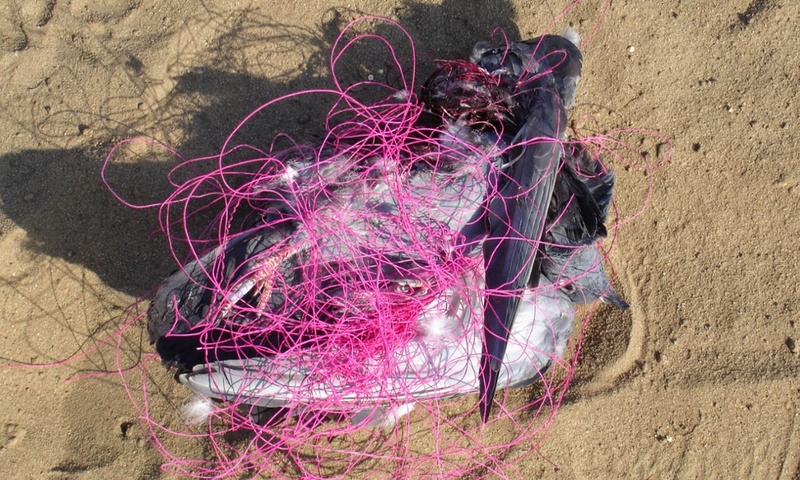 Fighting-kite line is also very dangerous to wildlife, especially birds. Reports on the carnage in India resulting from kite-fighting festivals are abundant. The Indian government has banned kite fighting at certain times to try to mitigate this problem. Wildlife Veterinarians International now has a major program in India to rescue and rehabilitate the many birds injured during kite-fighting festivals. Eventually we will have both flying, perching, and nesting birds injured and entangled in this fighting-kite line in our parks and other open areas. The LAMC needs to be amended to prohibit the flying of fighting kites equipped with abrasive string in these areas, followed by permanent signage and routine enforcement. The Los Angeles Municipal Code (LAMC) already prohibits flying of drones in undesignated park areas and within five miles of any airport, a prohibition that is frequently ignored. Permanent signage and aggressive enforcement are needed. The San Fernando Valley Audubon Society (SFVAS) in concert with the Sepulveda Basin Wildlife Area Steering Committee is leading the fight to produce solutions to these very serious problems, passing a specific resolution addressing each issue, and interfacing with Los Angeles Police, Recreation and Parks, and the Los Angeles City Council to request legislation, permanent signage, and enforcement. SFVAS Board Resolution: “San Fernando Valley Audubon Society supports an amendment to LAMC §63.44.B.8 to include a prohibition in Los Angeles City parks of the flying of any kite tethered to cord exceeding 50’ in length due to an extreme danger to humans and wildlife posed by the flying of kites tethered to abrasive high-test line, both while being flown and as a result of abandoned abrasive cord. Further, the SFVAS urges the Los Angeles City Council to evaluate the dangers of such kites and cord and consider a city-wide ban except in designated areas (to be determined)”. SFVAS Board Resolution: “San Fernando Valley Audubon Society supports enforcement of LAMC §63.44.B.8 and LAMC §56.31 in all City of Los Angeles Parks and Recreation Areas, with particular emphasis on the Sepulveda Basin Recreation and Wildlife Areas due to a pervasive presence of ‘drones’ in the area and a lack of enforcement of the ban on ‘drone’ flying in other than designated areas. There is presently a clear danger to users of the facility – many children, as well as wildlife, as a result of this illegal drone activity. The Sepulveda Basin is within 5 miles of the Van Nuys Airport flight path, which presents a further danger. In addition, there are escalating tensions between individuals attempting to enjoy the recreation facilities and the drone operators. We commend the Los Angeles Department of Recreation and Parks for installing temporary ‘NO DRONE ZONE’ signs. Unfortunately most of them were quickly destroyed or stolen. Please contact your City Council representative and let him/her know that you join us in this urgent petition! Thank you.